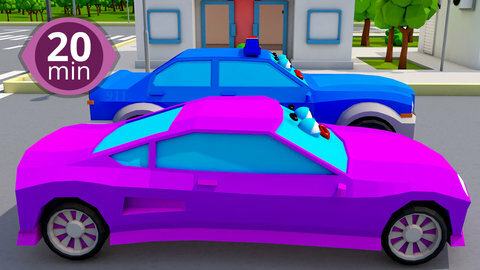 This collection of 3D car tales and cartoons is sure to get you on the edge of your seat! When a thieving monster truck thinks he can outrun the police car and stay out of reach, he has no clue who he is dealing with! While the thief sits laughing high up on a building roof, the police car calls his ambulance car friend for help. Watch to find out how they catch the thief and then go to SeeZisKids to find more fun, free videos for preschoolers.